Whether you’re a beginner or an experienced aquarist, here’s why you should buy the BIGGEST tank you can afford. 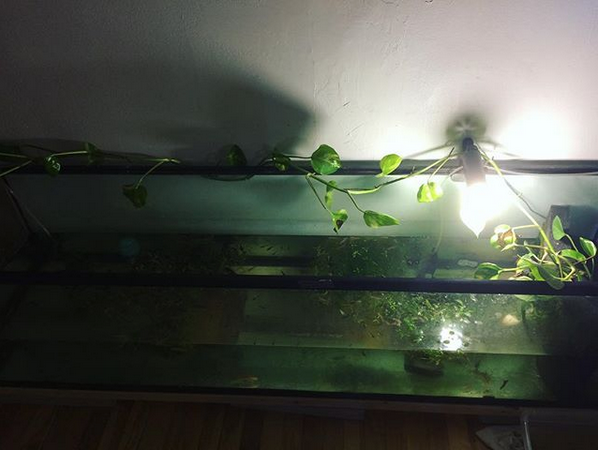 Larger tanks require fewer water changes. Having a larger tank allows you to use more filtration, which keeps your water cleaner longer. Everything is more stable when you’re dealing with a larger body of water: the temperature doesn’t fluctuate as much, pH is more likely to stay constant, and nitrogenous waste has less of an impact when there’s a lot of water to begin with. These three factors (temperature, pH and nitrogenous waste concentration) also affect the overall toxicity of ammonia (article coming soon!). This means that smaller setups are more likely to swing rapidly between non-toxic and toxic conditions. Some species such as freshwater shrimp are especially sensitive to sudden environmental changes, which makes them challenging to keep in a small environment. 3. Your animals will appreciate it. A larger enclosure gives you the opportunity to provide a more natural environment for your animal. They will certainly appreciate the freedom of movement and the mental stimulation that a more complex environment can afford. An animal who is comfortable in their enclosure will reward you by displaying more natural behavior. 4. It helps them fight off viruses! Larger tanks provide a temperature gradient — the surface is warmer than the bottom of the tank. One side may also be warmer than the other, depending on light positioning (and heater positioning, if you’re keeping tropical species). Having a temperature gradient in your tank allows your animals to adjust their body temperature, and even to self-medicate! Fish and amphibians are poikilotherms, which means their body temperature is meant to vary along with their environment. It also means that their bodies are not able to trigger a fever when they are sick. Instead, they rely on what we call behavioral fever: a sick animal will gravitate to the hottest area of the tank, act sluggish for a while, and wait for the virus or bacterial infection to pass. Amphibians are also particular in the way that they gravitate to colder temperatures when recovering from illnesses and injuries. Some scientific studies suggest that axolotls’ impressive recovery abilities function best at near-hibernation temperatures.